Republic Day is one of the three national holidays in India, along with Independence Day and Mahatma Gandhi’s birthday. It is celebrated on January 26, honoring the date on which the country’s constitution came into force in 1950. 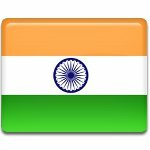 India proclaimed its independence from Great Britain on August 15, 1947. Two weeks later, a special committee was appointed to draft the Constitution of India because the country did not have one yet. The constitution was passed on November 26, 1949 and came into force on January 26, 1950. The anniversary of this event was declared a public holiday. While Independence Day commemorates India’s freedom from the British rule, Republic Day celebrates its transition towards becoming a democratic republic. Republic Day is widely celebrated throughout the country, but the main celebration is held in New Delhi, the capital of India. On the occasion of the holiday, the annual parade is held at Rajpah, the ceremonial boulevard in the center of the city, to showcase the country’s defense capability, as well as its rich cultural and social heritage. The Delhi Republic Day parade is considered the most important of the parades held on Republic Day. It kicks off a three-day celebration that concludes on January 29. The parade is organized by the Ministry of Defense. Before the Republic Day parade begins, the Prime Minister lays a wreath at the Flame of the Immortal Soldier (Amar Jawan Jyoti) under the India Gate. The wreath laying ceremony is followed by a two minute silence to honor the memory of fallen soldiers who sacrificed their lives for the country. After that, the president unfurls the national flag, and the national anthem is played, followed by a 21-gun salute. Next, the president awards military decorations such as the Ashoka Chakra and the Kirti Chakra, honoring both members of the military and civilians who have distinguished themselves by their exceptional courage and acts of valor. The parade usually involves 9 to 12 regiments of the Indian Army, as well as the Air Force and the Navy with their bands, various paramilitary forces, and civil organizations. One of the main highlights of the Republic Day parade is the unique Camel Contingent of the Border Security Force, which is the world’s only camel mounted military force. The parade also features aerobatic displays, lavishly decorated floats representing the culture of Indian states and territories, a daredevil motorcycle riding display, about 1,200 schoolchildren, and more. Since 1950, India has been inviting a head of state or government of a foreign country as the Republic Day parade chief guest. Countries that have received this honor include Indonesia, Nepal, Bhutan, Pakistan, the UK, Japan, China, Denmark, Cambodia, and others. As of 2018, countries with the most invitations include the United Kingdom (five invitations), France (five invitations), USSR/Russia (four invitations), and Bhutan (four invitations). The end of the festivities is marked by the Beating Retreat, a military ceremony that is conducted on the evening of January 29. It is performed by the bands of the Indian Army, Indian Air Force and Indian Navy.